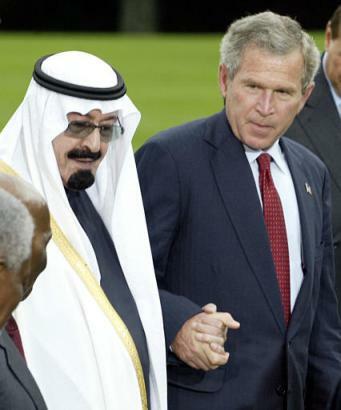 After George W. Bush’s recent hand-holding session with Saudi Crown Prince Abdullah, it seemed as if US-Saudi relations were back on track. But now, much to the Saudis’ dismay, along comes a telling reminder of the desert kingdom’s continuing involvement in anti-American and anti-Western terror. In a front-page article, the Washington Post reveals that most of the suicide bombers in Iraq hail from – you guessed it – Saudi Arabia. The report notes that two counter-terrorism experts conducted independent research, scouring jihadist websites and collecting information regarding the identities of those carrying out lethal attacks against US forces in Iraq. The first researcher, Reuven Paz, published a report in March which revealed that of the 154 Arabs killed in Iraq in the previous six months in jihadist attacks, some 61 percent were Saudi Arabians. An American researcher, Evan F. Kohlmann, put together a list of more than 235 names of jihadists who have died in Iraq since last summer, and he found that more than 50 percent were Saudi. In recent years, the desert kingdom has spent untold millions on PR campaigns in the US, trying to improve its sullied image as home to 15 of the 19 hijackers who took part in the September 11, 2001 attacks. But for all the smoke the Saudis have been trying to blow in Americans’ eyes, the truth remains as clear as it was four years ago: Saudi Arabia is an enemy of the West, and it is time for America to start treating it as such.